Do you have a shady area that needs a spalsh of color? Try this gorgeous double begonia! 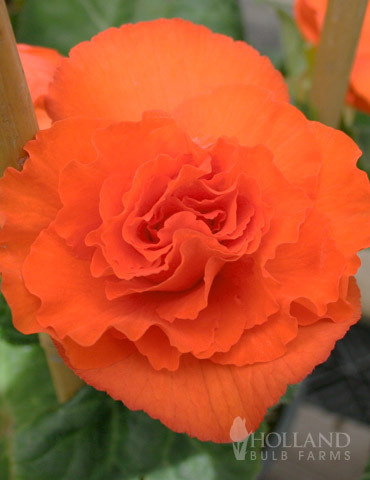 With warm, orange blooms which can reach up to 4" accross, these traditionally styled begonias will be sure to catch the eye of visitors to your shade garden. These tubers can also be started early indoors for even larger, more vigorously growing plants! Hummingbirds like these!